Goodyear EfficientGrip is a tyre dedicated for the premium and high-end luxury SUVs. It gets many latest know-hows and Goodyear’s patented technologies. One of the most silent and comfortable offerings from Goodyear, the EfficientGrip features better safety and innovative technology that minimizes outside noise. It is ideal for luxury car drivers who wish to escape the flurry of the metropolitan world the moment they enter their cars. Keeping up with the trademark of Goodyear, EfficientGrip also delivers utmost protection in every condition, no matter how dry or wet the setup is. It is also the first choice for original equipment on several premium vehicles like Mercedes-Benz, BMW, Audi, Land Rover, etc. It is a perfect amalgamation of high-performance compound and exceptional grip that offers flawless performance on long routes. The tyre is one of the best in its segment and outdoes its rivals and possesses an attractive look and premium feel with its tread. 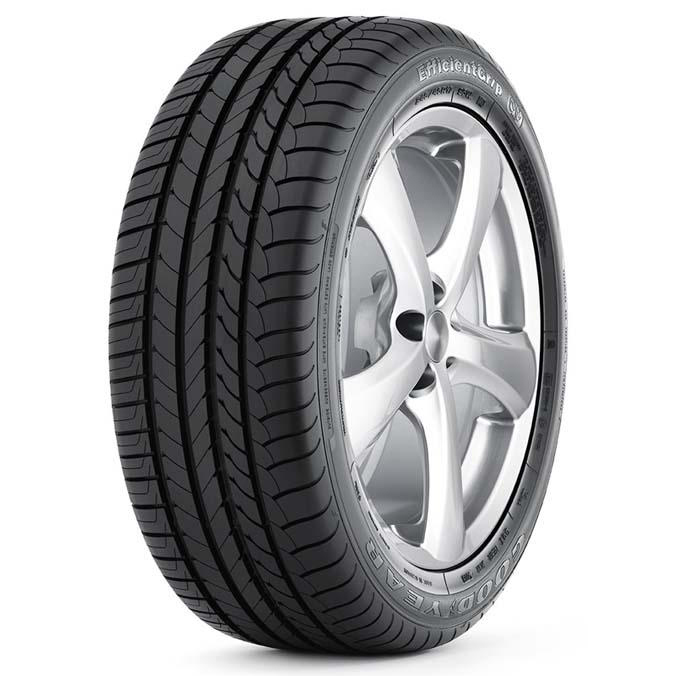 Goodyear EfficientGrip has been given an unconventional asymmetric tread design to deliver a superior surefooted grip. The additional layer of rubber absorbs the vibrations of the tyre and diminishes the effect of road indiscretions for a smoother ride. The carcass of EfficientGrip has been designed using the ‘Quiet Tred Technology’ that limits its noise for a soundless ride performance. The lightweight structure and pioneering silica tread compound lower the rolling resistance of EfficientGrip leading to better fuel mileage. The EfficientGrip tyre gets closed grooves and shoulder design that diminishes noise generated via reduced radial air pumping which assists in lower levels of exterior and interior noise. It gets wider centerline sipes that maintain the contact area balance and provide enhanced water dispersal to improve wet braking as well as provide resistance to hydroplaning. The EfficientGrip acquires heavy gauge under the tread and barrier gum strip that enables additional insulation of tyre structure and cause least vibration levels.